The NOVA Profile has been designed by a team of experts of the international company SWISSNOVA, founded in Switzerland in the late 90’s. In 2006, part of the SWISSNOVA team has moved to Canada, in order to continue developing a network of consultants, coaches and human resource professionals who were already using the tools in management, sales, coaching, and team synergy. 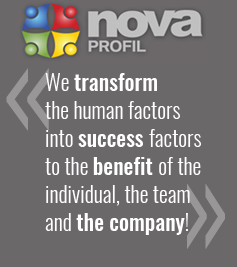 The primary mission of SWISSNOVA is to TRANSFORM HUMAN FACTORS INTO SUCCESS FACTORS. While the development of the full potential of the leaders within the organizations is their main motivation, their objective is to offer “custom-made” training that meets the particular needs of each company, and to provide powerful, effective and accessible tools for personal and professional development. 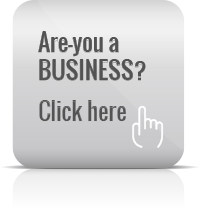 Big groups, organizations, industrial companies, small and medium sized enterprises, as well as public and private administrations, have been loyal customers of SWISSNOVA for quite a few years and are calling on the NOVA tools and their resourcefulness to help them overcome the many human challenges of today and tomorrow. Concerning training contents, nearly everything has already been invented. As experts in training engineering, the main concern of SWISSNOVA is not to deliver contents, but rather to ensure that their interventions are motivating and adapted to each particular profile. Far more than an academic approach, SWISSNOVA favours pragmatism and an input of “tips and tricks”. The directors of the enterprise are deeply convinced that a person will get involved in a process of evolution and change, when he/she understands the meaning and derives profits from it in everyday life. The search for meaning is implicit in all SWISSNOVA interventions. Thousands of wage-earners and job-seekers have already benefited from our coaching or training services; hundreds of people have taken advantage of our expertise in the context of a recruitment process; dozens of businesses have called on our know-how as part of a human and organizational change process. They all have appreciated our professionalism, our creativity and our friendly approach, as well as our respect, for our commitments, our participants, our clients and partners. Respect is not an empty word for us! A business man with a noble heart and university degrees in Business, Marketing and Human Resources. Throughout his diverse entrepreneurial experiences within various industries in Canada and Switzerland, he has always tried to bring out the “champion” in each and every one of his co-workers. 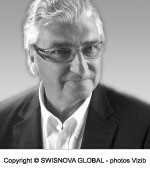 Founder of SWISSNOVA in Switzerland in 1997, he ensured the growth of the company by competently combining his leadership, team-building, and coaching skills. It was his idea to extend the reach of the Nova Concept internationally. 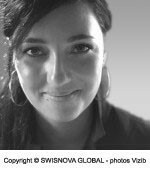 Swiss and Canadian by birth, graced with a European and Quebecois cultural background, she received her university education in Psychology at the University of Lausanne (Switzerland) and the University of Montreal (Canada). As an expert in adult training for more than 9 years, she has habilitated over 250 consultants, coaches, trainers, entrepreneurs, speakers and managers in the NOVA Profile and its various applications. She has accompanied hundreds of people in individual and team consultations, in order to optimize their self-knowledge, the understanding of others, and improve their relational effectiveness within their working life. Her special intervention field lies in knowledge transmission in terms of communication, self-knowledge, leadership and motivation for the benefit of individuals, teams and companies. Her prime motivation is to bring out the uniqueness of each person in order to lead them towards achieving their full potential. 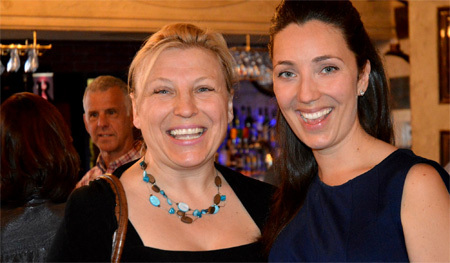 Jasmine Bélanger, to the right, accompanied by one our consultant partners, Stephanie Giroux, at the launch of NOVA Profile 2.0 in 2015. "We want to ensure the development of potential leaders in the heart of organizations."